Lok-N-Load™ thread lock system from Citadel Casing Solutions meets exact specifications of other popular thread locking compounds, at a lower price. Lok-N-Load™ keep joints from loosening while running casing or drilling through the shoe-track. 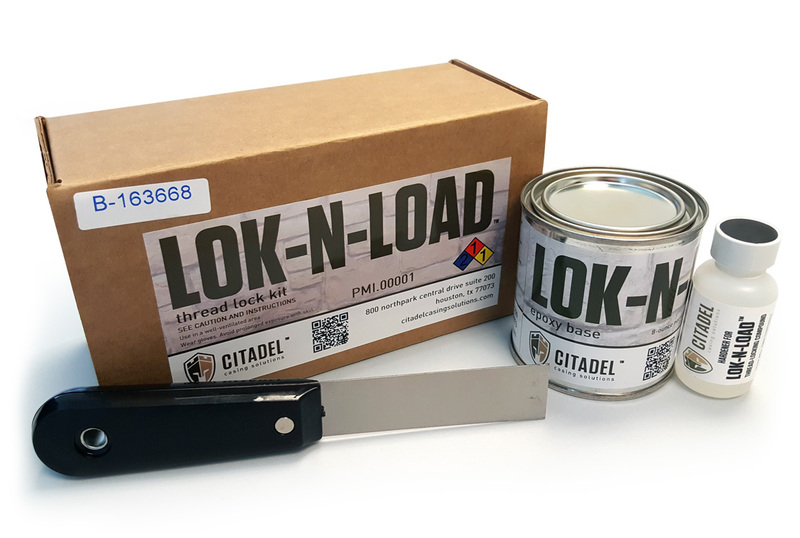 Each Lok-N-Load™ kit contains two-part epoxy (base resin + catalyst), along with a putty knife and instructions for use.